if you ever wandered into a toyota dealership certain you wanted to buy a pickup truck but split between toyota's two offerings, this comparison test is for you. 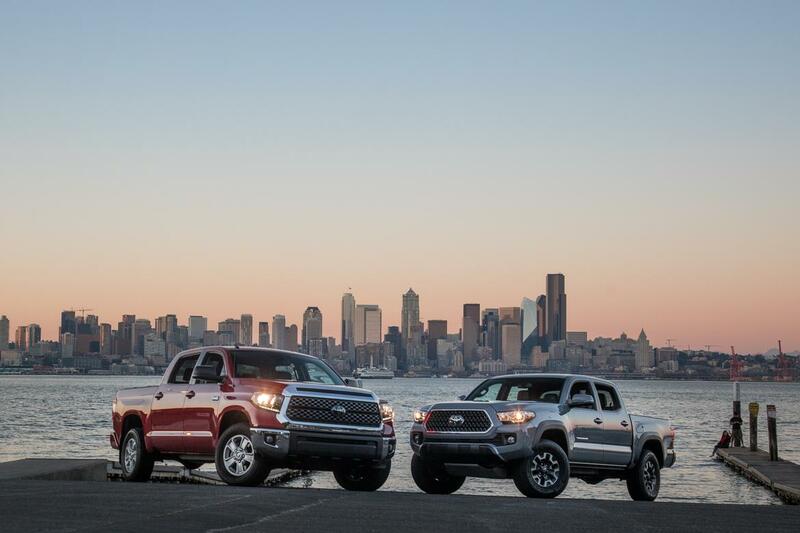 pickuptrucks.com editor mark williams and reviewer brian wong recently took 2018 model-year versions of the tundra and tacoma to the pacific northwest to see which pickup ranks as the automaker's true top truck. when you're in the market for a pickup truck, geography and utility should come into play, along with other factors like price. living in a city and driving a full-size truck can be a nightmare, especially somewhere with lots of parallel parking. at the same time, if you need to tow or carry heavy loads, a mid-size pickup might not measure up. to that end, wong and williams put the two toyotas through a battery of tests focusing on everything from cabin refinement, visibility, on- and off-road abilities, fuel economy, payload testing and even how well each truck fits in a garage. we're nothing if not thorough when testing vehicles. wong and williams discussed which truck each would rather take home, and the results may surprise you. be sure to check out the story linked above to find out which truck they'd prefer.